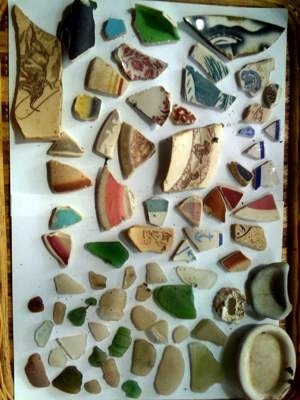 Many of the pottery shards shown on this page were found near Lin's mother's home on the Chesapeake Bay, Maryland, USA, and also here in the State of Washington on the Puget Sound and San Juan Islands areas. 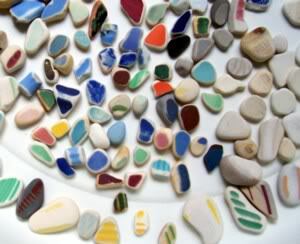 Like the ones pictured here, ceramic shards and pottery shards are among the variety of interesting items one finds while beachcombing or adding to one's sea glass collection. 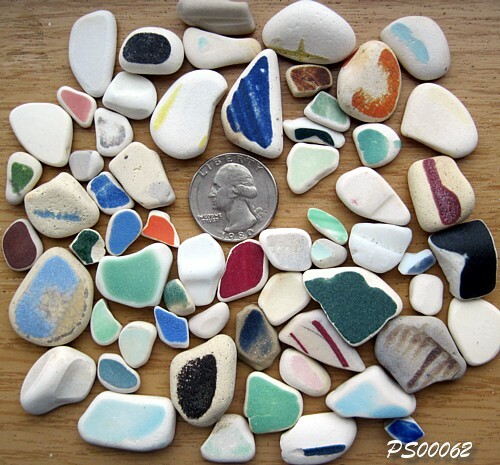 Most "beachcombers" we have met are delighted to find old and possibly ancient shards in the course of collecting sea glass, seashells, rocks, and driftwood along a beaches wrack line. Earthenware shards and ceramic shards are especially interesting when they have visible designs or colors on at least one surface. Many times the colors are quite unusual and especially seem to compliment each other when grouped together. Shards may be identified generally as to how old they are by certain features, ie, material used, firing methods, and shapes. However, even that is not exact. When you only have a worn shard, it significantly increases the difficulty. However, If you find a piece with a signature, trademark, or seal, on the other hand, more precise identification becomes possible. So much pottery has been produced over the ages in all parts of the world, that a lot of information still needs to be gathered. 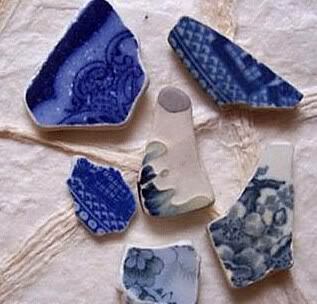 Where do you find pottery shards? 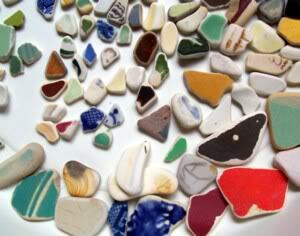 You can find beach pottery and shards on the same kinds of beaches where sea glass is found. Dumps are the best sites for finding beach pottery, ceramics, and shards - like the old Tepco ceramic factory dump. Richmond, California, on the San Francisco Bay, was the home of a porcelain and ceramic factory, where broken or unwanted pottery was dumped on the shoreline. 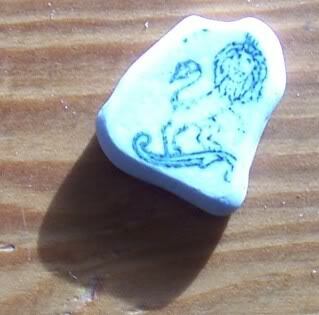 It is now a destination for pottery shard hunters. Just like hunting for sea glass, your best bet is to find an old dump site. 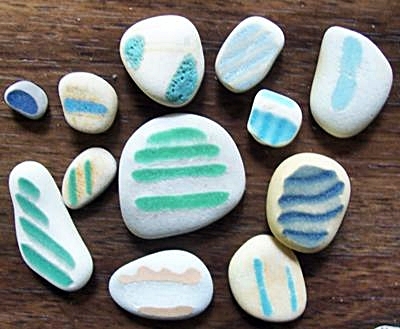 To see the characteristics of beaches where sea glass and beach pottery can be found, go to Finding a Sea Glass Beach.